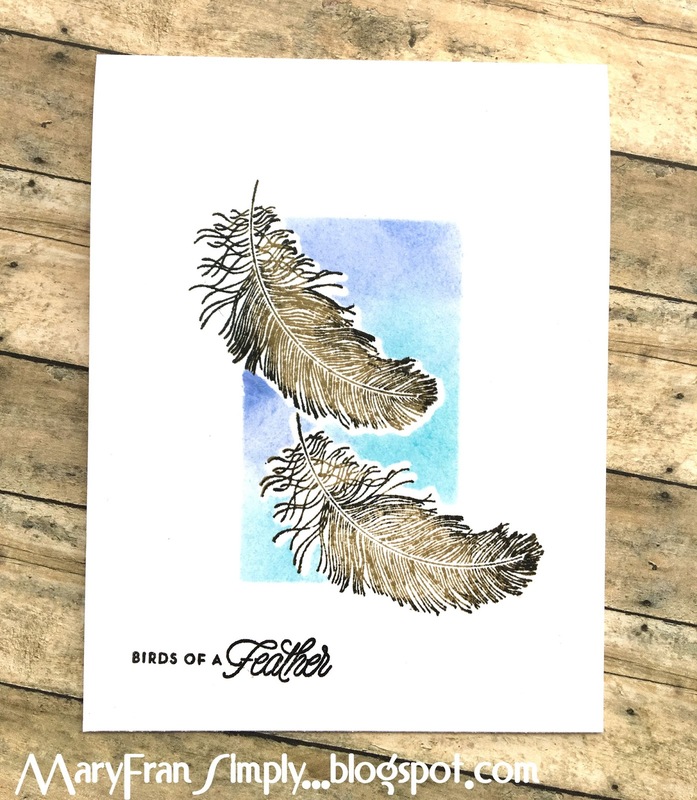 This is going to be one of my favorites, I love the color combination on the feathers. They remind me of a chickadee feather I found recently. I think I would have done some different positioning on them but I still love it. I used the technique on Papertrey Ink's, #290 Make It Monday Challenge shown by Betsy Veldman where she combines stenciling and masking. Her direction is so nice and clear. I love her videos. I basically just used a small rectangle negative space diecut as a stencil and then die cut a mask of the two feathers from some copy paper and put some temporary adhesive on the back of them to adhere them to the little rectangular area- and then went to work blending some distress. Next I stamped the feathers with frayed burlap and lastly with some black soot. Lastly I stamped the sentiment. Supplies are listed below. This is very pretty, Mary! Oh, I love these feathers! The colours of the feathers are perfect against your blue background! Great card! Sweet card! 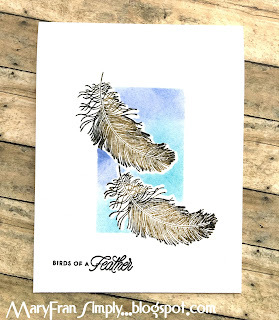 I love your feathers on the beautifully done stenciled background! Love the gorgeous feathers!! Very pretty card.